This week we welcome decorated jockey Damien Oliver to the podcast and he talks about the approach he has taken to his professional career and what it takes to be successful on the track. Damien shares his thoughts on how he prepares for a race, handles trainer instructions and mid-race decision making. What prompted Damien to get into horse racing and follow in his family’s footsteps. What it takes to make a good jockey, and what separates the best jockeys from the rest. How Damien makes split second decisions from years of riding experience. What Damien learned during his well-publicised break from racing. What keeps Damien motivated to succeed. Welcome to Betting 360, your number one source for horse racing and sports betting insights. Coming around the bend is your host David Duffield, with another expert view to give you the winning edge. Dave Duffield: Hello this is Dave Duffield and welcome to another episode of Betting 360 Podcast. My very special guest this week is Damien Oliver. Probably doesn’t need much of an introduction to anyone that follows the racing game but in case you weren’t already aware. 6 Scobie Breasley Medals, 4 Caulfield Cups, 3 Melbourne Cups, 2 Cox Plates, a Golden Slipper, a Blue Diamond, and a partridge in a pear tree. He’s basically won it all and obviously hasn’t been out of the headlines for many years. Let’s have a chat with Damien right now. How are you Damien? Damien Oliver: Well thanks Dave. Dave Duffield: I think everyone knows your family’s long history in racing, as a kid growing up did you ever consider doing anything other than becoming a jockey? Damien Oliver: It wasn’t probably until my latter years of growing up that I probably thought I’d be a jockey. 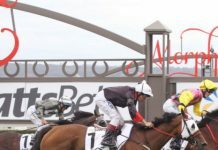 You know I’m quiet keen on most sports, predominantly AFL football, so I wasn’t really sure what I was going to do probably until my brother started having success as a jockey a few years before me that it really started to grab my attention. Dave Duffield: What prompted you then was it really just the family link, you saw the opportunities there? Damien Oliver: I’m third generation jockey, my grandfather, father, and my brother of course were all jockeys so it was always around me but I was never pressured into doing it in any way. I rode horses from a young age and I just felt I had a good grounding in it having been riding and also I enjoyed the sport side of things so it was a logical step for me. Dave Duffield: And you had a really good association with the Freeman stable from a young age. What do you think were the main reasons why they were so successful during that time? Damien Oliver: They were very ambitious as young trainers and the fact that there were three or four brothers there at different times. They were very aggressive, I suppose, in a way to be successful and I was fortunate that I joined them at a time when they were really starting to go somewhere and we really became a great combination together in the early 90’s into the 2000’s. Dave Duffield: What do you think it takes to be a good jockey, in your opinion what separates the best jockeys from the rest? Damien Oliver: I think you got to be a pretty clear thinker and obviously you’ve got to have a good talent to ride. You’ve got to be able to assess situations and be composed but also be quiet enthusiastic and also you’ve got to be really keen to succeed. I think that’s important as well. It’s not one thing it’s a combination of things and you also need a good support team behind you as a manager and also a good trainer as well. Obviously you can’t have success without riding some nice horses. Dave Duffield: You mentioned the support team. How do you prepare for a normal meeting? What’s your approach to doing the form and the speed map so that you give your mount every possible chance? Damien Oliver: I always look at at least a few runs of the horse I’m riding, and there might be some key chances or horses that I’m not familiar with around me that I’ll look at sometimes too. I’ll set up a bit of a race picture in my mind of how I think the race is going to set up so I’ve got a little bit of a plan of how I think the race is going to be run before I actually go out there. Dave Duffield: Do you do all that on your own and then compare notes with someone like your manager, Mark Van Triet or do you prefer to work in tandem on a race right from the start? Damien Oliver: Generally I do it on my own but if there’s something I’m not sure if I want a second opinion I’ll ask someone. Dave Duffield: Then how much flexibility or responsibility do you get in terms of what you can or cannot do? I’m sure it varies from trainer to trainer because someone like Gai Waterhouse who almost always wants their horses to be up on speed. How much leeway do you have in terms of decision making when they jump? Damien Oliver: As you said, it depends a lot on the trainer and some trainers are more flexible than others; some respect your opinion more than others so usually you put your thoughts forward, the trainer will give you his, and you try and compromise somewhere there and work something out between you. But at the end of the day when those gates open things can change pretty quickly and you’ve got to be ready to adapt to any situation. Dave Duffield: I was going to ask that. How often would you have to go against specific riding instructions? Damien Oliver: It’s hard to put a figure on it but I always find that indecision is the worst decision. 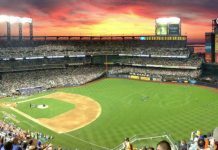 If you’re caught between what the trainer wants to do, what you have in mind, and what actually happens if you don’t make a decisive decision usually you get caught out in some way. So sometimes it’s not always the right decision but you have to try and back your judgment and be confident that you’ve made the right one. Dave Duffield: I’d like to ask you about decision making. Social media gives everyone a voice and those playing people that jump up and down after a ride on Laidback Larry in the Mornington Cup Prelude recently so in a circumstance like that when you’re drawn outside on a noted leader, just run us through your decision making early in the race. Damien Oliver: That race there didn’t appear to be a lot of pace on paper, but races aren’t run on paper they’re run on grass. That race I kicked off hard on the inside and the pace actually I felt quite strong in the first 600 metres of the race. And you’ve got to gauge how the horse is traveling too. You can’t force a horse to be somewhere he’s not comfortable being. I just felt I didn’t want to push the horse out of his comfort zone early in that race. I let the speed go and then once the speed came out in the race, I let the horse drive forward. That was my reason for that ride. Dave Duffield: Some people are pretty quick to criticise, most of us have never been on a horse but what was your other option? If you didn’t do that and push on what else would have happened do you think? Damien Oliver: Just sit three deep, yea sit three deep. Dave Duffield: So when you’re on a leader, the old theory used to be to try and stack them up, go fairly slow and then sprint away. 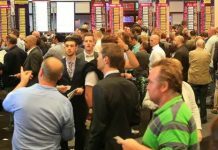 We work closely with Vince Accardi and the more date you see a lot of people come to the conclusion it’s probably not the optimal approach and often it’s better to make use of a horse’s high cruising speed and make the chasers work. What’s your approach normally? Damien Oliver: It’s really horses for courses. Every situation is different, there’s no set rule. There’s a lot of armchair experts out there that have never ridden horses that think they know everything and, it’s a lot easier sitting in front of a desk than it is on a horse. Dave Duffield: That’s fair enough. But as a rule you don’t really have a preferred tempo? If you’re on a leader, whether it’s a good strong gallop or whether you do want to stack them up? Damien Oliver: It depends completely on the horse mate, what type of horse it is and how the horse is actually going. If a horse is not comfortable going at a good clip you can hardly make it do it, it’s just not going to work, you know? Dave Duffield: What about if you’re riding on a backmarker? Would you prefer strong tempo up front, where you try and finish over the top of them, or do you think your horse has a better chance if it’s only a moderate pace and you’re fairly close to the leader, and biggest sprint wins? Damien Oliver: Once again I don’t think there’s any hard and fast rule to it, conditions on the day have a bit to do with it. I suppose how hard the horses are working in front. If they’re going slow but if they’re working against each other that can sometimes soften them up. I don’t think there’s a hard and fast rule to it, I think you’ve just got to take each race on its merits and probably assess it from there. Dave Duffield: You mentioned the conditions on the day, how soon can you assess the state of the track and get a good understanding if there is any track bias? Some people go a bit early on stuff like that and it can be more pace related rather than track conditions. What’s your approach? Damien Oliver: More often than not I think it is pace related and sometimes it takes longer to assess a track bias, if there is any, than others. I think you just first got to go look at the pace and see what that tells you as to how the track is racing. Then probably make an informed decision more on the pace as to how the track is racing. 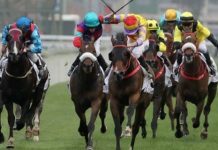 Dave Duffield: Would you prefer a fair, truer track, or are if there is track bias because you think you can sum it up fairly quickly and maybe have a small edge on some of your opposition. Damien Oliver: I suppose it depends on what type of horses you’re riding. If you’re on a lot of front runners and it’s favoring the front runners, obviously that’s a big advantage to you. But if you’re on back markers then instead of the front runners, then obviously it makes it harder. So it probably depends on what you thought a ride is like on the day. Dave Duffield: OK. Often we’ll hear a jockey say that a horse gives me a good feel. What is that like for again, non horse-riding folk. What is that like? Damien Oliver: Usually it’s a comfortable, economical action and the horse has got a good attitude and doesn’t waste too much energy. He’s real economical and conservative and has got some good acceleration when you ask him. That’s probably the simplest way to put it I suppose. Dave Duffield: Do you think that’s a pretty good indication? Is there ever many horses where maybe in track work or trials where you get a really good feel but they just can’t produce that on race day? Damien Oliver: Oh for sure. There’s plenty of horses with good actions and lovely attitudes and good temperaments that aren’t any good. And on the other hand too, you get some horses that have the roughest action but they actually got a good motor and they’ve got some good ability. But usually when all of it comes together. When you get a horse like Northerly who is probably one of the, not one of the best going, top horses either but he didn’t have great action, he had a high head carriage but he had great ability. So as I said there’s no real rule to it. 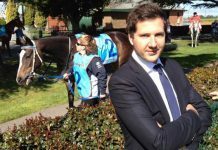 Dave Duffield: You mentioned Northerly, but what about those other horses that seem to have it all but can’t quite put it together. How much of it comes down to ticker, how much of it comes down to will to win do you think? Damien Oliver: I think a lot actually. It’s really not an exact science because if you look at the best looking horse, the horse with the best action, the wealthiest stable just gambled on they dominate it, it doesn’t work that way. Everyone’s got a chance to win, not the most or the best looking horse can sometimes have great abilities so it gives everyone a chance. Dave Duffield: Last year you had the enforced break, well publicised and everything. What did you learn during that time? Damien Oliver: I learned probably that racing’s not the be all and end all. I’ve got a young family which I got to spend a lot of precious time with that I enjoyed but at the same time I appreciated racing too when I was out of it for a while and got to come back to it as well. Dave Duffield: You mentioned a young family, you’re in your early 40’s now, you’ve achieved pretty much everything there is to achieve in racing, sometimes multiple times. What keeps you motivated? Damien Oliver: Putting my young children through school, quite expensive and I’ve got a bit of a ways to go yet. Dave Duffield: I feel your pain! You see someone like Jimmy Cassidy, he’s what ten years older than you and he’s still going strong. How much longer do you think you’ll go on and what do you think you’ll do when you’re no longer riding? Damien Oliver: I haven’t really put a time frame on it, as long as it’s going well and I’m feeling good and getting opportunities, I’ll continue. Probably a little bit of media would be a possibility to do after and that the bloodstock side of things interests me a little bit as well. So there are a couple of things that could happen in the future. Damien Oliver: Yeah I’m pretty happy with the way Fiorente and Bull Point are going so I’m looking forward to continuing association with those two. Dave Duffield: Excellent, alright appreciate your time today, Damien . Thank you very much for coming on the Podcast and all the best for autumn. Thanks for tuning in to Betting 360. Get more in depth analysis, tips and that betting edge by heading over to ChampionPicks.com.au where you’ll find a full transcript of this episode. If you like the show, share us with a fellow punter or drop by iTunes to leave us a review. Betting 360, punting from all angles.